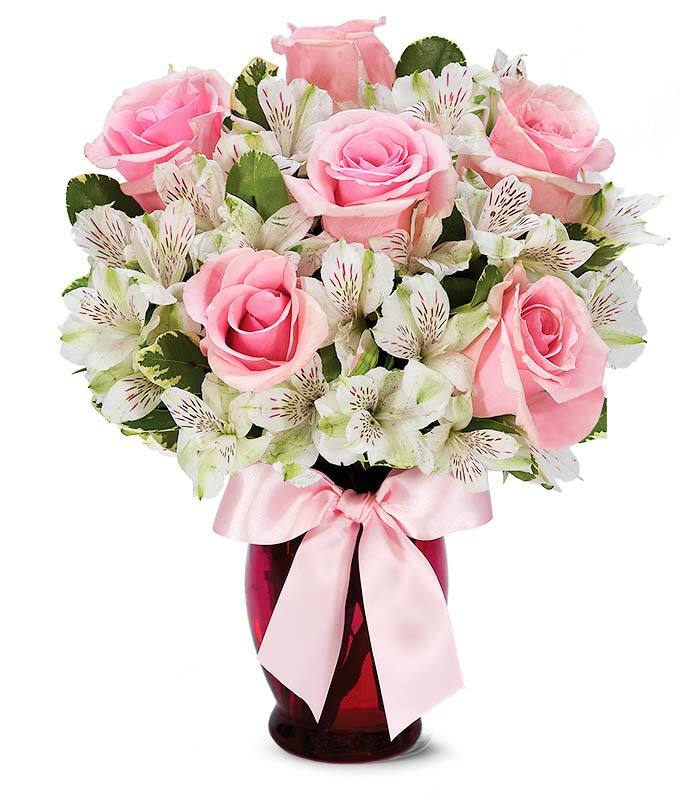 Add a touch of pink to her day with this Pink and Pretty Bouquet. Available for delivery today this mixed flower bouquet is created with cute pink roses and white alstroemeria stems by one of our florist partners. The pink roses and white alstroemeria are delivered in a pink fluted vase wrapped with a pink bow, hand delivered to a business or home, The Pink and Pretty arrangement is a great gift for a birthday or Mother's Day.